I have a mutt tractor or so I say they told me it was an 8N but it has a 3 speed trans any way my question is this. I would like to know if it is possible to install an actual key ignition switch on one of these tractor instead of the push button starter relay. This tractor has been converted to the 12 volt system if that helps. 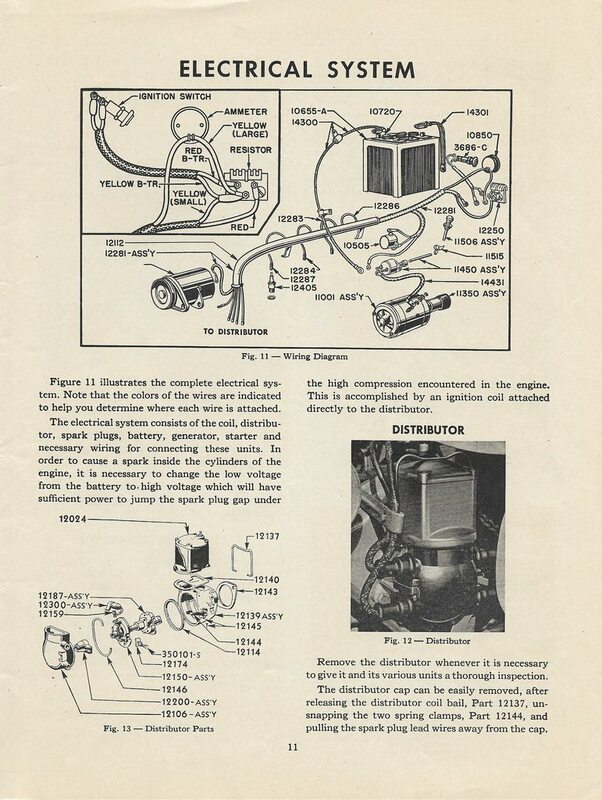 If any one out there has done this can you please send me a wiring diagram and which ignition switch you used. IF, you were to change to a key type starter switch, you will need more than just the switch. You would have to remove the original starter switch, and install an auto type starter solenoid. One for a 8n will not work. this photo came from pb, no watermark. This what you should have, all mechanical. 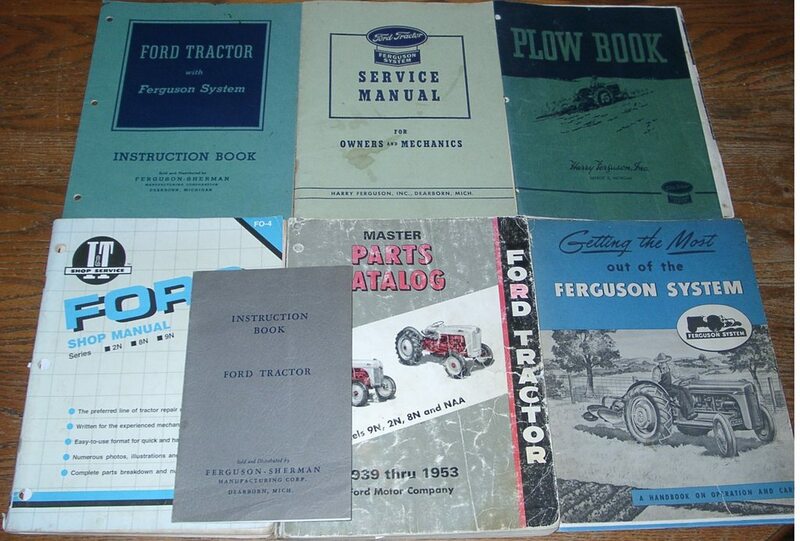 If ya wanna be an N-Owner, you better invest in the essential manuals. 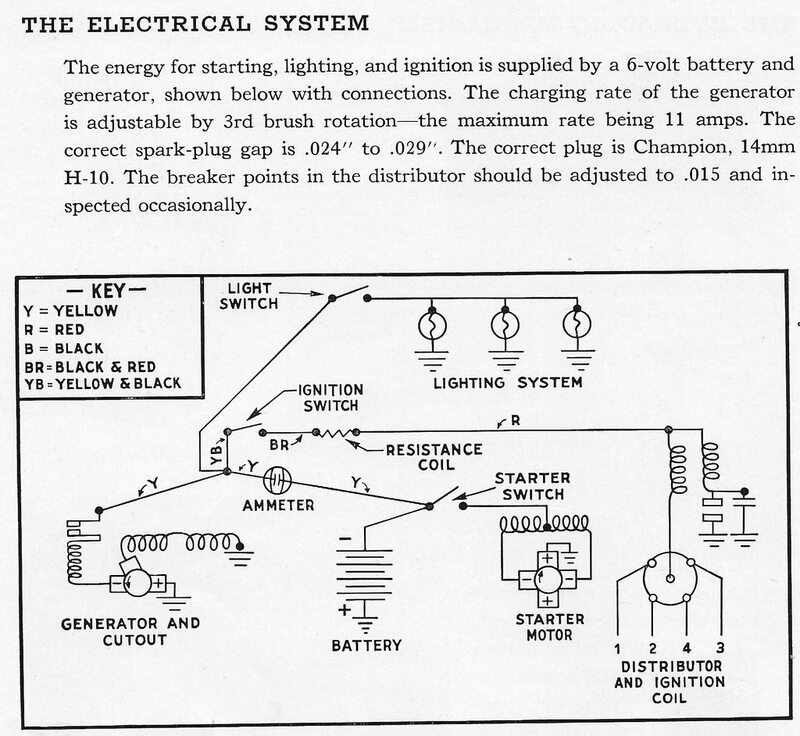 Then you'd know a key switch is part of the electrical system as well as the push button starter button switch. You don't know if you have a non-functional part yet so hold of on buying a new push button switch. You could get a new key switch and start going thru the entire wiring because I suspect your problems originate in the wiring being incorrect. I can say this because 99.98% of electrical issues are due to mucked up wiring on 12V switch over jobs. Tell us- do you have the OEM Ballast Resistor in the system? Is the round-can cutout still in the system? Is the coil 6V or 12V? If 6V is the external 1-OHM in-line resistor in the circuit? You say 12V -do you have an alternator wired correctly? Go thru or get someone to go thru the entire wiring setup, fix what isn't right like installing a key switch, and then see what happens. 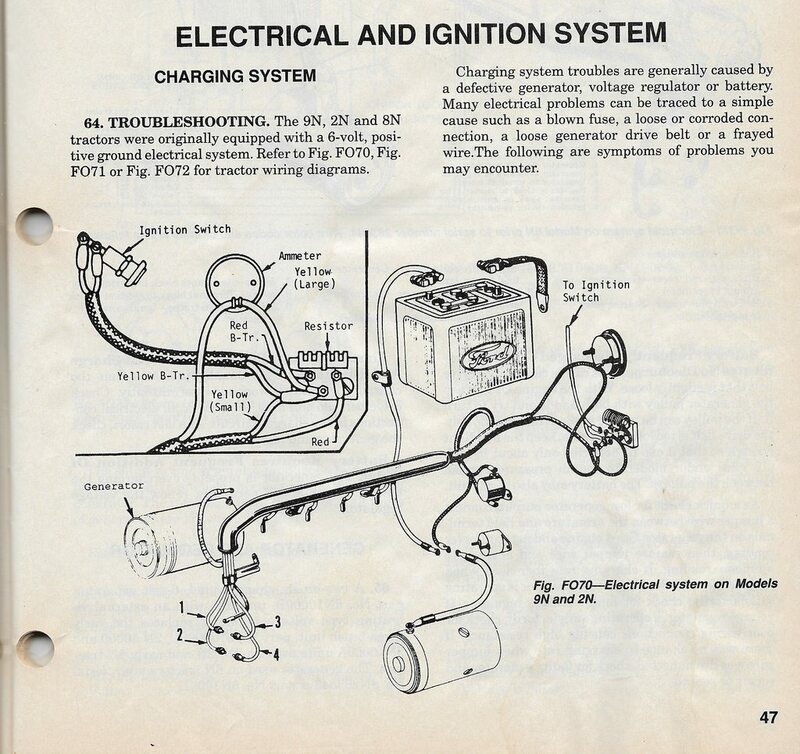 Here are the electrical diagrams for the original 9N/2N 6V/POS GRN system. A 12V switch over job takes the generator and cutout completely out of the circuit and replaced by a 12V alternator. Simply swapping out a 6V battery to a 12V battery does mean you are �converted�. Click on the LINK to see where to get a new key switch. One of the few things that doesn't get changed on a "switch over job" is the starting circuit. Yet you say his problems are 12V related. Often, as is in the case of this confused guy, with 12V jobs, the key switch DOES get swapped out for a toggle switch or as I have seen before, an actual 110V household light wall switch, and, the neutral safety starter button gets bypassed because it is mistakenly 'thought of to be bad' with no root cause troubleshooting being performed. If you would have actually read my entire reply, instead of just seeing it was me again and negatively responding as your usual self, you'd see I said 99.98% of all mucked up jobs are due to INCORRECT WIRING and that is a fact. On 12V conversions, the only things that get taken out of the OEM 6V system are the generator and cutout or VR. Many 12v jobs are done by fellas who have no clue so things get removed and replaced. I'm ROFLMAO at YOU. But I have pretty good reading and comprehension skills. "I can say this because 99.98% of electrical issues are due to mucked up wiring on 12V switch over jobs." "you'd see I said 99.98% of all mucked up jobs are due to INCORRECT WIRING and that is a fact." There is a big difference between those two statements. One suggests that 12V is somehow the root cause of it being mucked up which is untrue. The latter statemend is an odd example of redundancy; "mucked up jobs are due to incorrect wiring"
I don't know why of late you've been so outspoken about "switch over jobs" being the devil's own work and 'the cause' of so many problems. Many, if not most of these old tractors have been or are being converted to 12V. And like the 19th ammendment that genie is already out of the bottle and they're not going back to the old way. It may not be a bad switch but bad linkage getting to the switch. the bellcrank part wears and it does not push far enough to engage the switch. I have heard of people attaching a washer or to to the switch so that it engages better. NEVER BYPASS THE NEUTRAL START SWITCH! I started my first tractor while no one was around when I was 3 years old. It's a good thing the neutral start switch was there. I also started a JD 45 combine about that same time. It was in gear. Mom had to come running from the house, climb the ladder and shut the key off. Michehembr ,Check this site ,Maybe it will help you figure out your tractor as to what you have. Michehembr, If your tractor has a 3 speed transmission the thumb push button on top of the transmission just operates a linkage that operates the starter switch.It is located on the steering column under the batery box and held on with 2 bolts.You can check it by hooking the battery/starter cables back up to it to test it,or use a meter and check for continuity when the button is pushed (may be nothing wrong with it).If it is bad just replace it and leave the neutral start feature intact and maybe save a life! (LITTLE KIDS LIKE TO PUSH BUTTONS) BE SAFE! Thanks I'll take a second look at it this weekend. You know, it is real easy to change the push button on the floor. Just has what 8 or 9 stud bolts in the plate and comes off very easy. Starter solenoid comes off with a clip and put a new one on and set to go. Saftey First??? what has led u to believe that the push button on the transmission is bad? You can use a lawn mower style switch,if you read it out with a ohm meter the switch will have a common and one terminal that is on in the run position,(first click)and the second position will be the start circuit,this wire goes to your starter,the first wire goes to your coil so you have power in the run position,there should be lots of simple wiring schematics on the web if you google them. I want to make the change as the one on the transmission cover as it is bad, and the one it was replaced with i think is bad. I figure it will be easier to change it over to a key ignition system than the push button which really isn't good that its just there its not where is should be. Remember I just bought this and this is my first one. I have some knowledge on autos but tractors seems to be a different beast. Any way it would just be easier to put in the switch than remove the transmission cover to replace a button which is the only way I can see to replace it correctly. if you've got a 2N, u have no relay. the push button on top of the trans moves a mechanical linkage which closes the contacts on the actual start switch, which is mounted under the battery tray. why do u want to make the change? Can you give me an idea of what type of switch I should use and do I need to change out any of the wires going to the actual switch that is there now? He is right about that!!! People do install them but it will take away the safety of the original safety of having to have it out of gear.